Just a reminder that the upcoming deadline for SD Funds is December 15th. 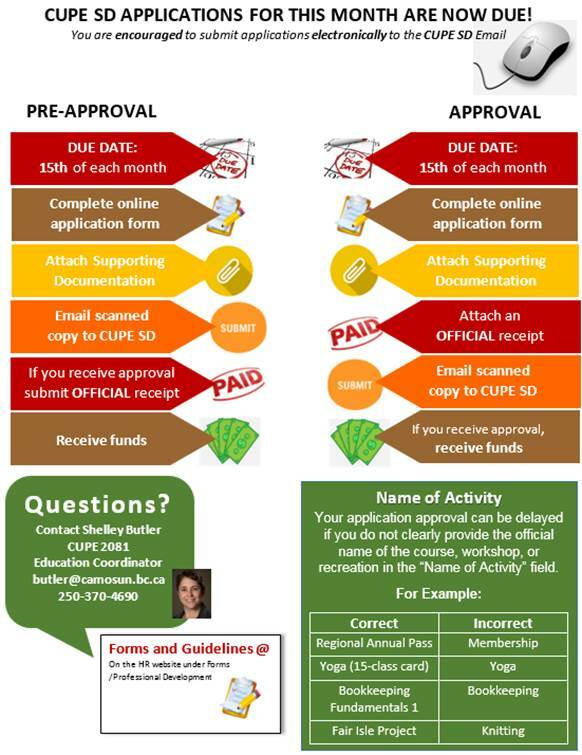 You are encouraged to submit electronically to the CUPE SD email. However, we still accept paper applications sent to CUPE SD, Human Resources Department, Lansdowne. Modified Work Week during Holiday Closure? Check Your Flex! Join us at these Christmas Events!